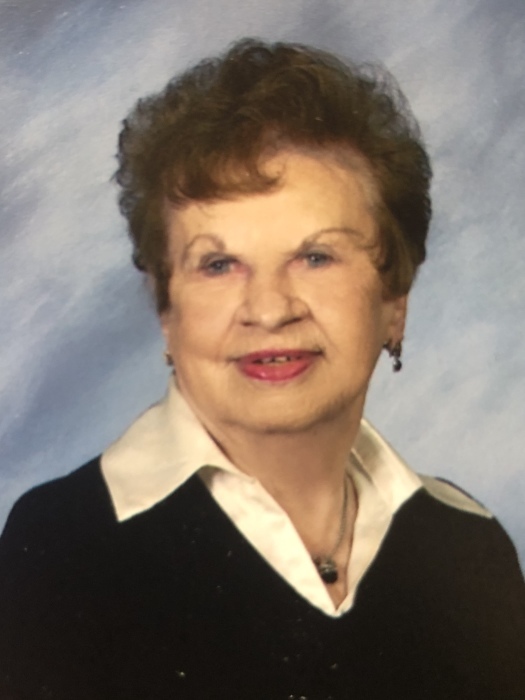 Obituary for Ruth M. Isenberg | Fox Funeral Home, Inc.
Ruth M. Isenberg, 99 of Cabot passed away on March 29, 2019 at Concordia Lutheran Ministries. Born December 1, 1919 in Butler, she was the daughter of the late William H. Muder and Hazel Krug Muder. She worked as a cafeteria worker for the South Butler School District. Ruth was a member of Cabot United Methodist Church and the Order of the Eastern Star. She enjoyed caring for and giving to others. as well as spending time with her children, grandchildren, and great-grandchildren. Her generosity and love will be missed. 2 great-great-grandchildren, and a nephew William (Barbara) Pflueger of Saxonburg. In addition to her parents, she was preceded in death by her loving husband, John Isenberg, a son, John "Jack" Isenberg, and sister, Elizabeth Pflueger. Friends will be received on Tuesday, April 2, 2019 from 3-5 pm at the Fox Funeral Home, Inc. 410 W. Main Street, Saxonburg. Services will follow at 5:00 pm at the funeral home with Rev. Jason McQueen officiating. Interment will be in the Saxonburg Memorial Church Cemetery.